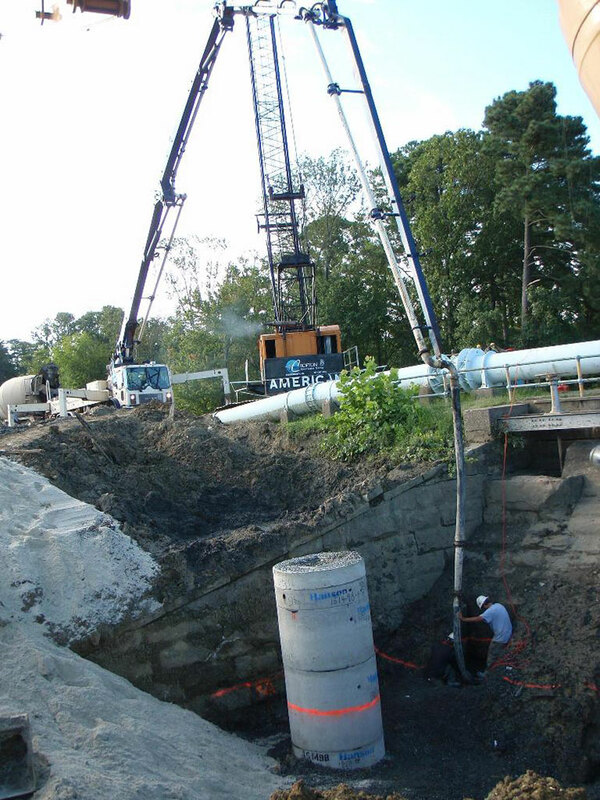 This project required Crofton to replace an existing spill way valve which was 15’ below the existing lake level. 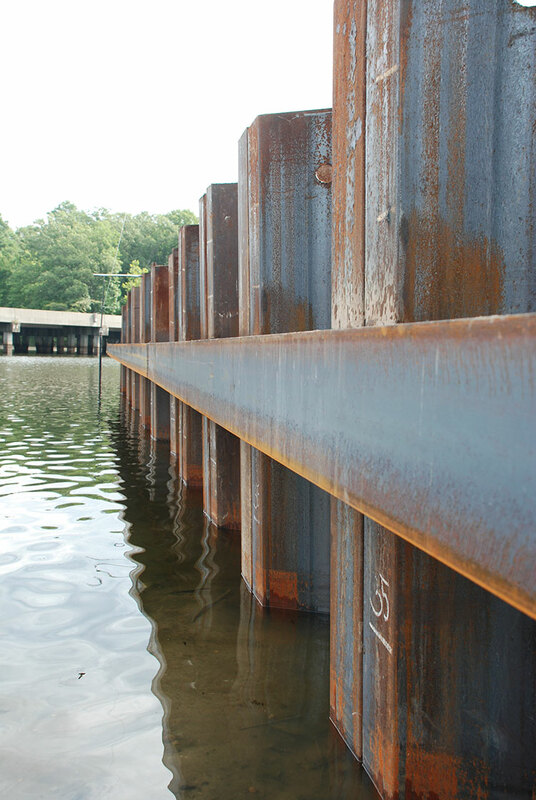 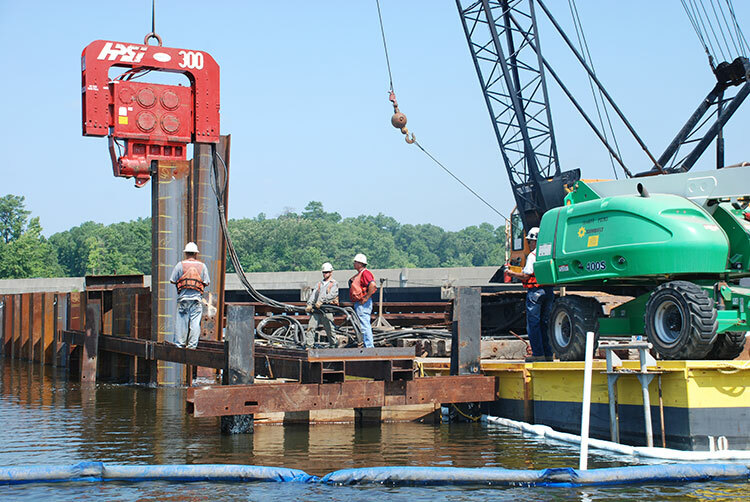 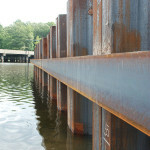 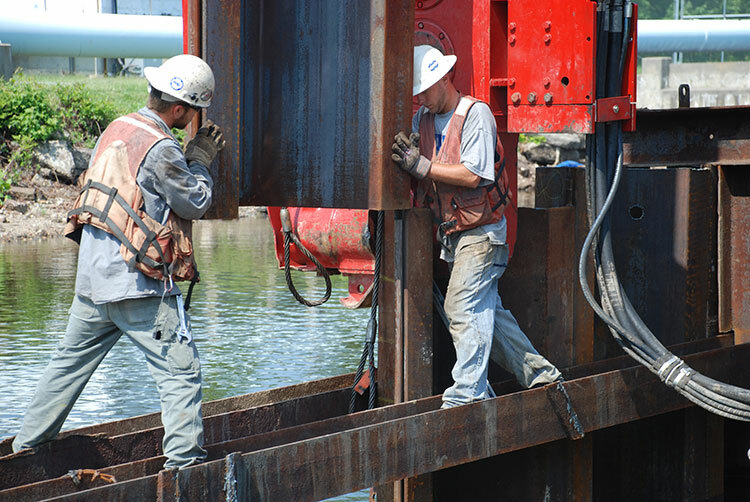 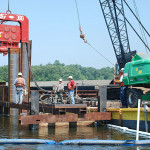 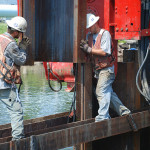 Crofton installed a 100’ x 70’ reinforced steel sheet pile cofferdam and dewatered the cofferdam. 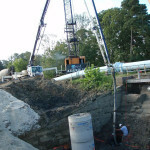 Once dewatered, spoils from around the existing valve were removed, the existing valve was dismantled, and a new manhole and valve was installed. 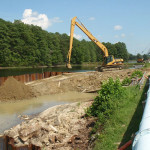 The cofferdam was then backfilled with 3 different layers of fill material which totaled 4000 cys of fill. 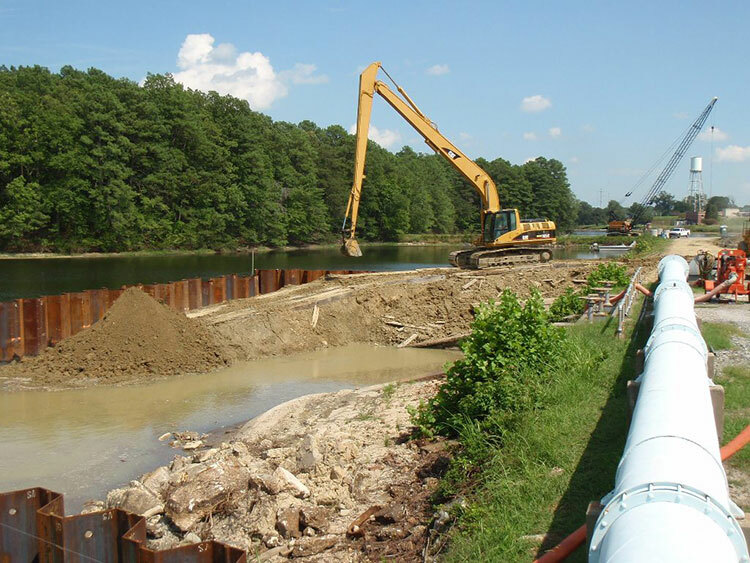 Installation of a 100’x70’ steel cofferdam, dewatering of cofferdam 15’ below reservoir level, replacement of the existing dam spill valve, and backfill of 4000 CYS of fill.